There are 3 different pledge-related reports you can build in DataMinerPlatinum. The Detail report will show you ALL pledges within the criteria you build in to your query. This is a handy report to show All Pledges to the Capital Campaign, for example (especially if someone has made multiple pledges). This will show Pledged Amount, Total Collected, Total balance due, etc. The Summary report for Pledges is rarely used, because it will combine multiple pledges per DONOR, to give you a TOTAL of what they’ve pledged over time. It literally summarizes all the pledges out there. 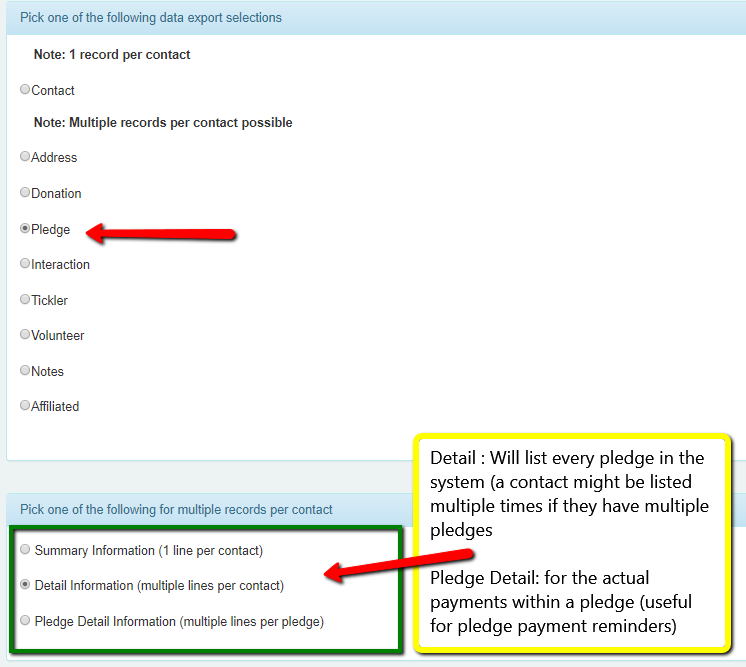 The Pledge Detail report will show you the upcoming due-dates and payment schedule, as well as general information about the pledge. 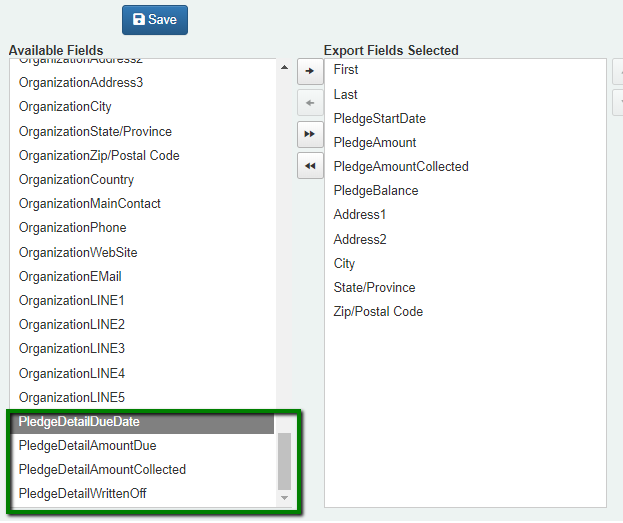 Pull the Pledge Detail fields on to your Field Export (they are all the way at the bottom of the list of available fields). The Review Data tab will display Pledge Detail fields about the respective pledge payments, and the general Pledge fields about the overall pledge.